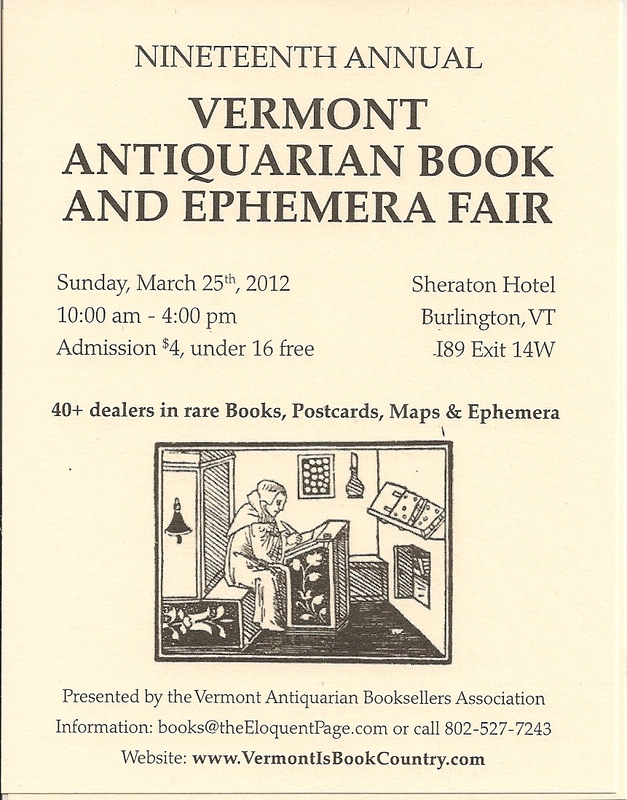 I finally agreed to participate in the upcoming Vermont Antiquarian Book Fair. Great but I’m kinda worried about what books to bring. I started pulling books off shelves and filling up boxes then started seconding guessing myself. I put them all back. I shouldn’t fret so but I do. And I think, why did I agree to do this? 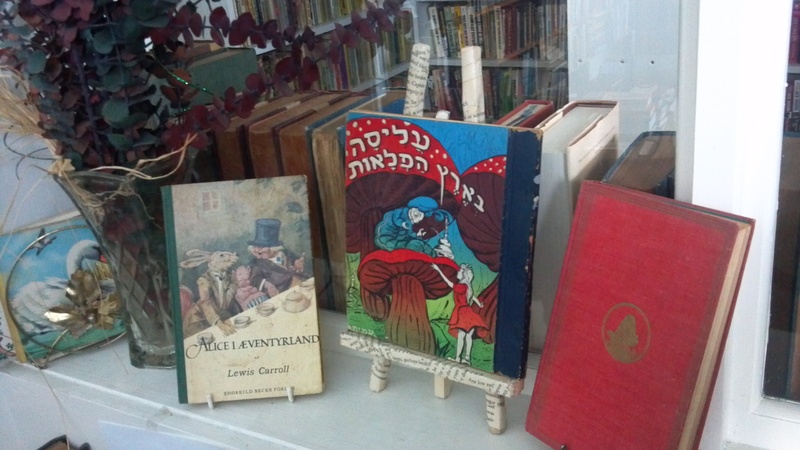 I admit I did so under pressure from the VT Bricks & Mortar Society and my fellow used bookstore friend in CA. They all gave convincing reasons why. Okay, they really didn’t have to twist my arm. Very much. It is good publicity. But that doesn’t mean I’m not going to stress out about it. I admit it does sound like fun. And the thought of being on the other side of the table is intriguing. You see, I use to go as a shopper and admirer and would enter each booth in pure anticipation. And I would always splurge on one book at the event. Like a lot of money. And would leave with a small pile plus that special book. Actually if you want to know the truth, and know I’m rolling my eyes as I type this, we were one of the first ones – or tried to be – to enter the fair. Seriously. We would stand in line at least one hour beforehand. Nerds. I don’t have table-top bookcases. That’s the other thing I’m worried about. How to display. Rusty said he would make some bookcases to my specifications and earlier today I was trying to decide: do I paint them blue – to stand out, of course – or leave them natural. Unpainted for that a dignified look. Or painted white/off white to highlight the books. Well, doing it as me won out. So I’m going to paint them blue. Or maybe lime green. Or what about the red I also have on hand? Ugh! See what I mean? So many decisions: what books to bring, how to display, what color bookcases, doilies yes or no, bookends, what else? One week count down. I’ll post pictures. In the meantime, I’ll work to get my act together. I know it’ll all work out. And it’ll be great. It was a pleasure to meet you and briefly speak about things Wodehouse at the Burlington Book Fair this past Sunday. I just blogged up a post with some photos over at The Book Trout if you want to take a peek. I look forward to visiting your bookshop someday soon. It was wonderful meeting you! I just went to your blog (http://booktrout.blogspot.com/) and WOW! you are the first one I know that has blogged about me or my store. I’m very honored. And I seriously cannot wait to visit your store as people come into mine store raving about yours. 🙂 Thank you for making my day.